The CNY Fertility Donor Program is able to facilitate many different cycles for the LGBT community. Whether it is through the coordination of donor eggs, sperm, or embryos, we are able to help you create the family you have always wanted. There are many options available, for each family situation. Our donor coordinators will work closely with and your partner to find the scenario that best fits your particular needs and desires. This may include any combination of donor sperm, eggs, or embryos, as well as the more typical IUI and IVF cycles. We have the unique opportunity of combining gametes from either partner (or both!) with donated gametes, to create a cycle that includes both parents as much as possible. It is important to note that while we often use anonymously donated gametes, we have the ability to use known donor gametes as well. This is an opportunity that allows the couple to have more knowledge and awareness of their child’s genetic past, and a bit more control over the process. 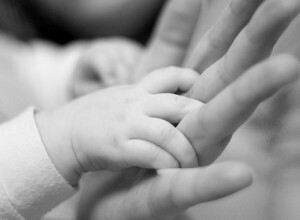 We, at CNY Fertility Center would like you to know that we believe families are defined by love. We will do our best to be sure you have every opportunity to love, nurture, and expand your family. If you have any questions about the potential cycles available, or how best to approach these initial decisions, please don’t hesitate to contact us. One of our donor coordinators would be happy to walk you through the process, as well as the many opportunities available for your family. We look forward to hearing from you, and creating the family you have always wanted.